You may have come across the concept of the “uncanny valley”. This is the strangeness that humans perceive when something is very close to resembling a human, but isn’t quite right. The reason for it being described as a valley is because our acceptance of human-like forms goes up and up as things get more realistic until they reach a critical point where they horrify us. This dip in the graph is the valley. This phenomenon is seen in waxworks, animations and robotics, and also in newer technologies that seek to immerse us into various kinds of virtual reality. Can you spot it in our virtual reality book trailer? It is however something that you can find much closer to home: dolls. Why do we find dolls creepy? There is something especially dreadful about a doll, which is after all intended to resemble a human baby, that is aged or damaged in some way. Creepy dolls occupy a special place in the horror pantheon. I especially like them because they can also be funny. There was an outbreak of dolls planted into potholes in Swindon recently. There are companies and individuals who specialise in customising dolls to be a unique and horrific companion or ornament. I have my own horrific companion. 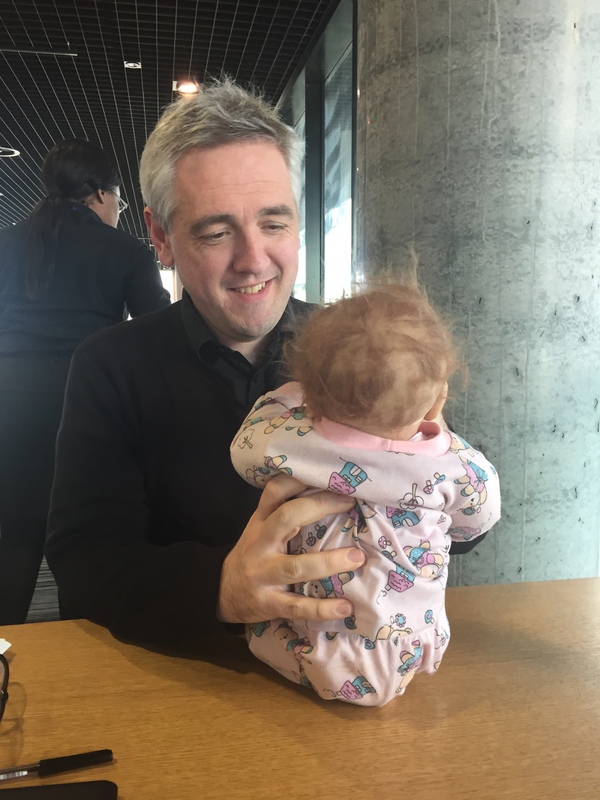 I acquired Baby around three years ago when Iain and I launched Beelzebelle, a book containing a baby. It seemed as though it would be a fun thing to get a baby doll and take some photographs with it. I went to the tip shop, one of my favourite places, and asked them if they had any baby dolls. 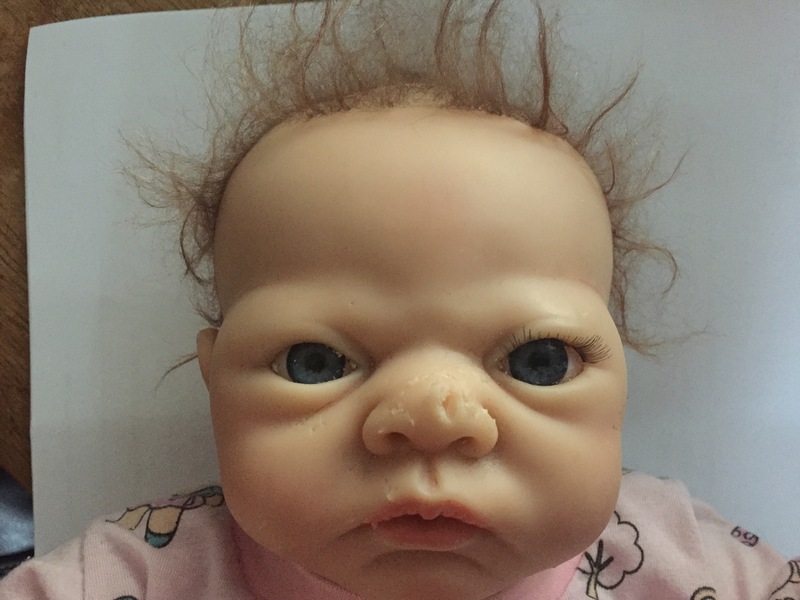 They’d put this particular doll aside, with the thought of listing it on eBay because it was a reborn doll, and they can be quite costly and collectible. I can see why they might have hesitated to list this one though, because Baby has seen some trauma. Missing eyelashes on one eye, strange gouges on its face and the strangest, wildest tendrils of hair matted on top. Baby is also dressed in a grubby pink romper suit, which is probably not how it left the factory. 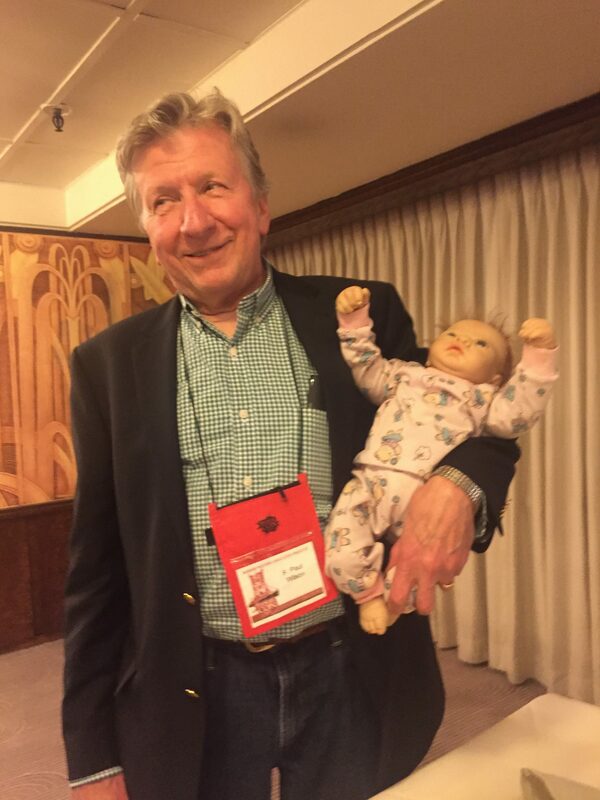 As soon as I saw Baby I knew it was the doll for me. When I started taking pictures, it became clear that baby looks even more horrific when photographed. Baby started to come with me to writing events and family get-togethers. 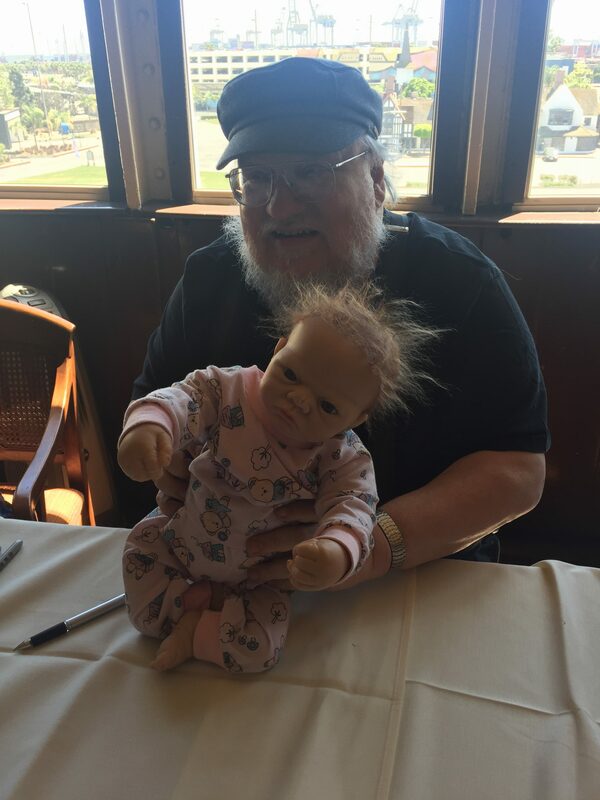 Baby met George RR Martin, he of Game of thrones fame, and numerous other writers. 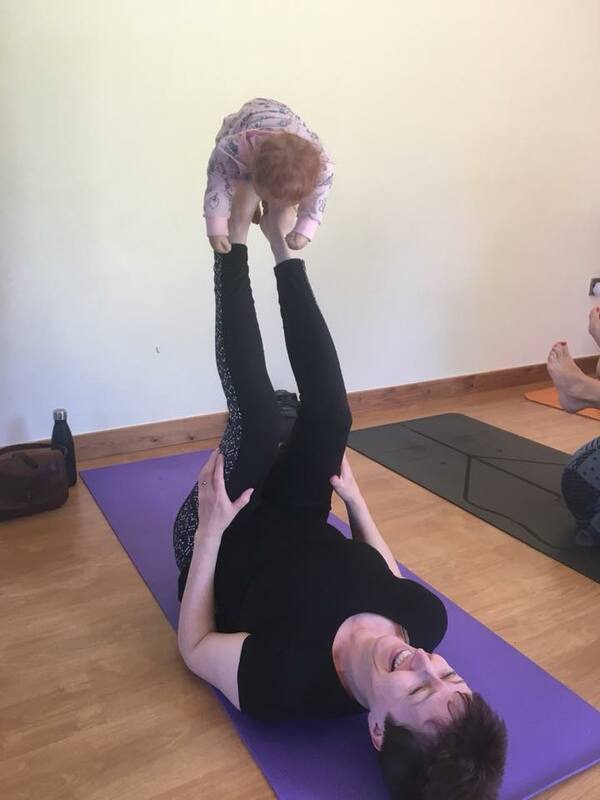 It soon became clear that Baby was sticking around and became somewhat notorious on my Facebook timeline and among real life friends. Would it be possible to write Baby into some stories? 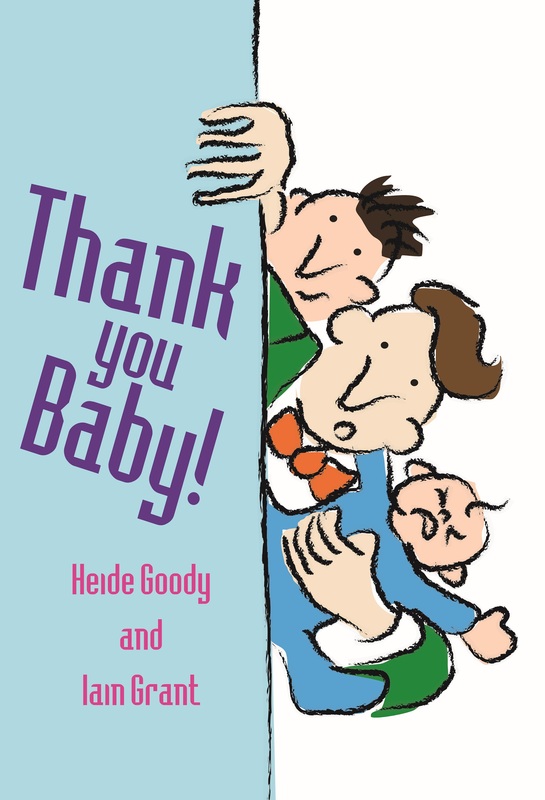 Baby lent itself to being a passive villain and an enabler for foolishness and stupidity and so we decided to team up Baby with some characters that we’d used in a short story we’d written as a playful tribute to PG Wodehouse. Faithful butler James lives with his mildly idiotic master Rupert in modern day Birmingham. What would happen if we introduced Baby into the mix? It turns out that it’s a really entertaining dynamic and one that we have revisited for several more short stories. 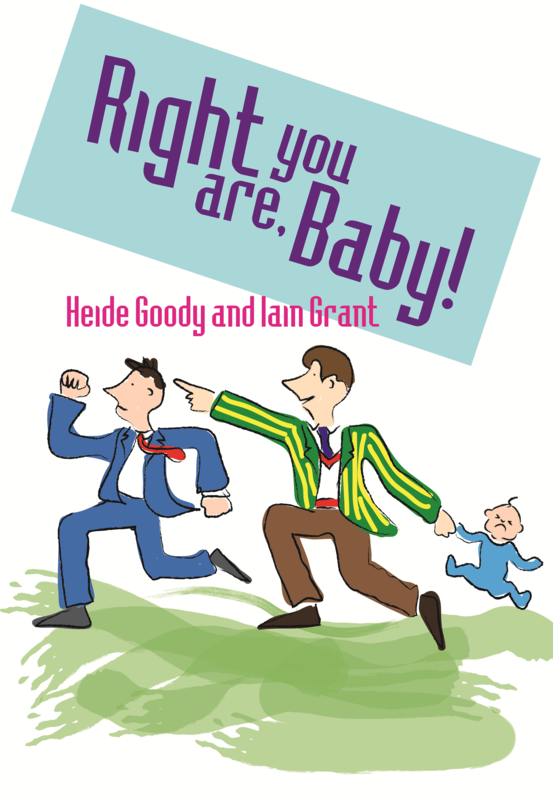 We will be releasing them shortly as two short collections: Right you are Baby! and Thank you Baby! We can reveal the covers for these to you now, created for us by Mike Watts.